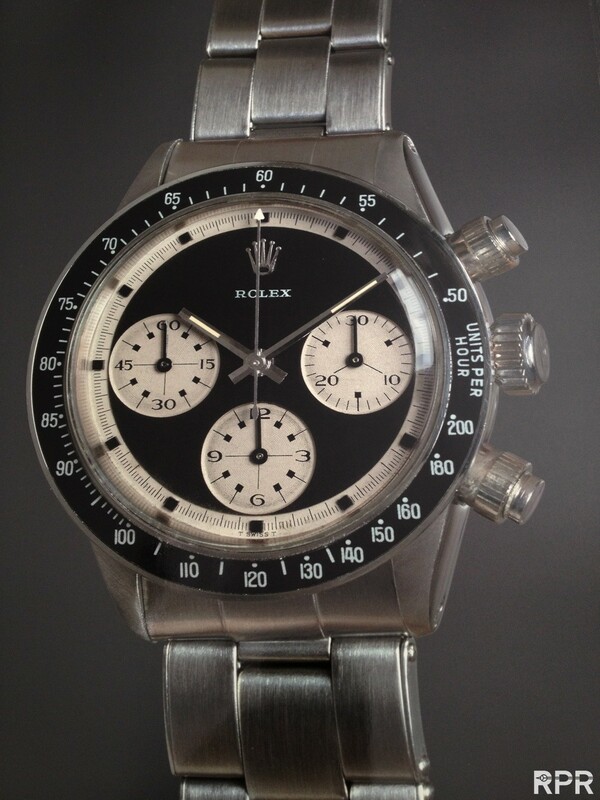 We all love the vintage Rolex Daytona nowadays as it’s become the most icon reference Rolex ever made. Since it’s introduction in 1963 we see that it was back then not at all populair. Some said it was to big, damaging the sleeves of their shirts others thought it was too expensive for a non perpetual, out house movement. 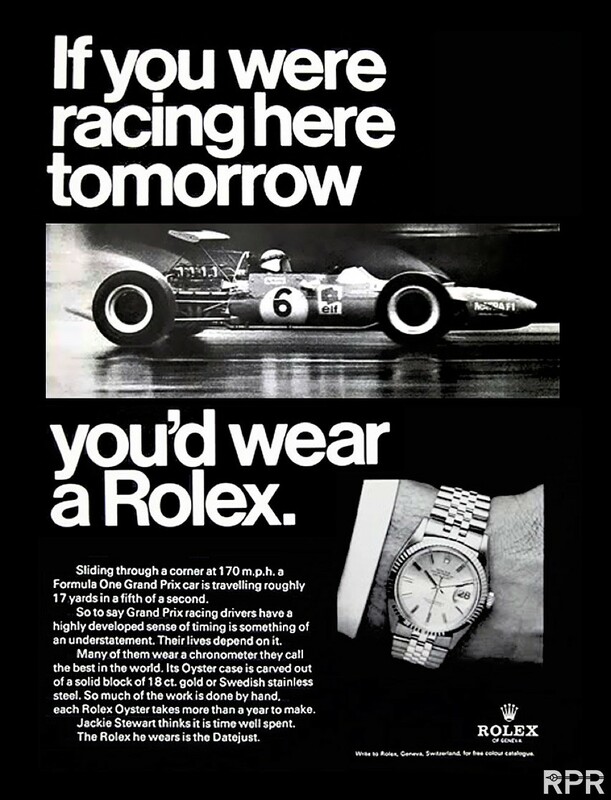 The fact is that Rolex always has been struggled to improve the popularity of it’s “Drivers Watch”. 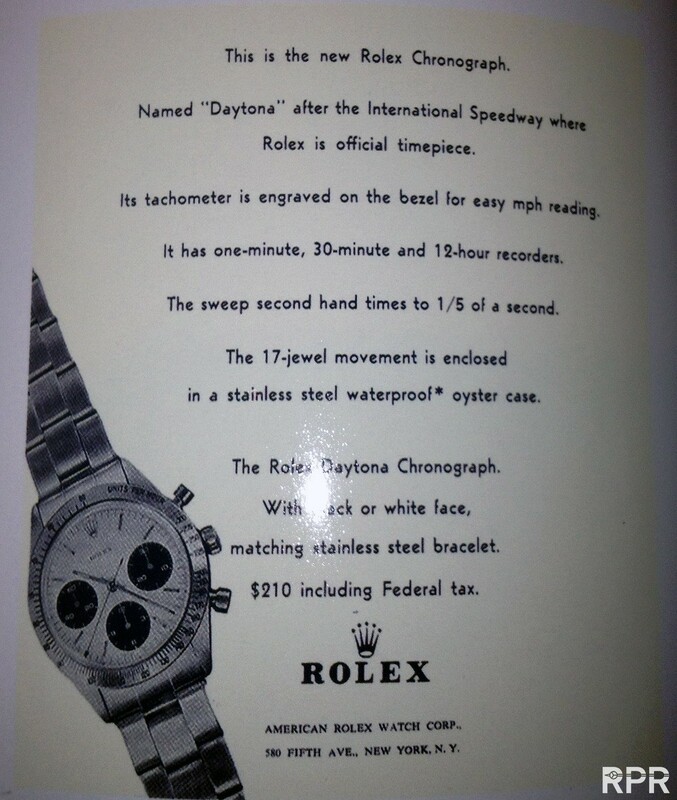 With their first US ad Rolex called their chrono; Le Mans. 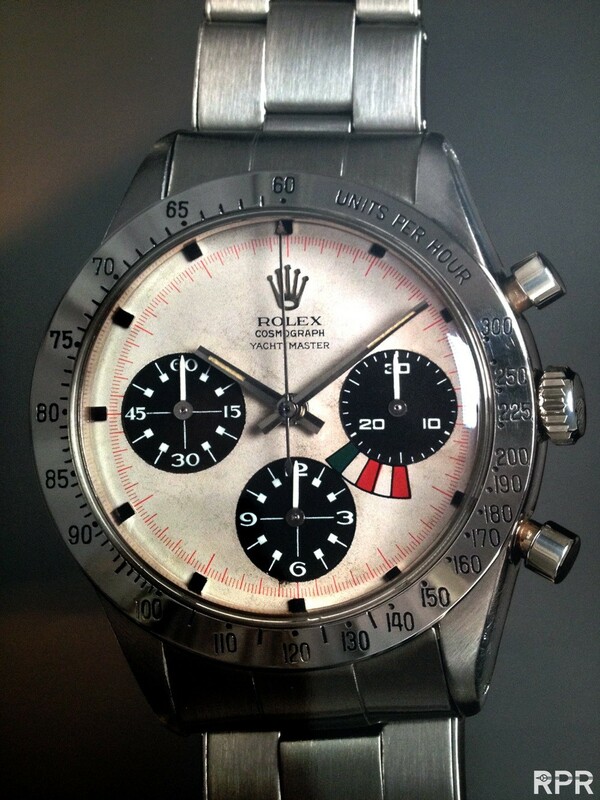 From the mid 60-ies Rolex management was having serious doubts over the ‘automobile issue’ which surrounded it’s leading chronograph model as safety, high oil prices and environment issues turned to increasing government regulations. Safety and environmental issues during the 1960s led to stricter government regulation of the auto industry, spurred in part by Ralph Nader and his book: Unsafe at Any Speed: The Designed-in Dangers of the American Automobile. This resulted in higher costs and eventually to weaker performance for cars in the 1970s. Seat lap belts were mandated by many states effective in 1962. Under the National Traffic and Motor Vehicle Safety Act of 1966, Federal Motor Vehicle Safety Standards required shoulder belts for front passengers, front head restraints, energy-absorbing steering columns, ignition-key warning systems, anti-theft steering column/transmission locks, side marker lights and padded interiors starting in 1968. Beginning in 1972, bumpers were required to be reinforced to meet 5-mph impact standards. With the Clean Air Act (United States) of 1963 and the Vehicle Air Pollution and Control Act of 1965, emission controls began being instituted in 1968. The use of leaded gasoline began being curtailed in the early 1970s, which resulted in lower-compression engines being used, and thus reducing horsepower and performance of the “Muscle Cars”. 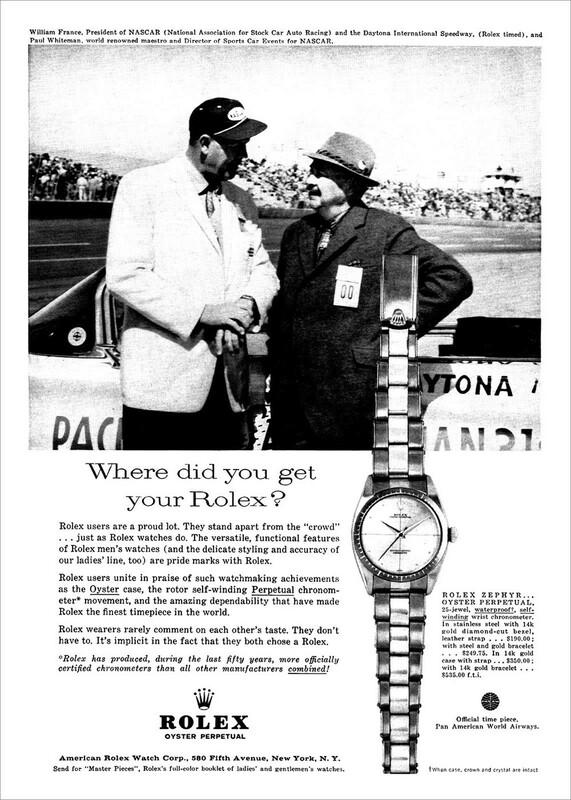 With the newly discovered Prototype dials, published in Pucci’s Daytona Book, we now know that Rolex was well aware about the problems around their “Drivers Watch”. 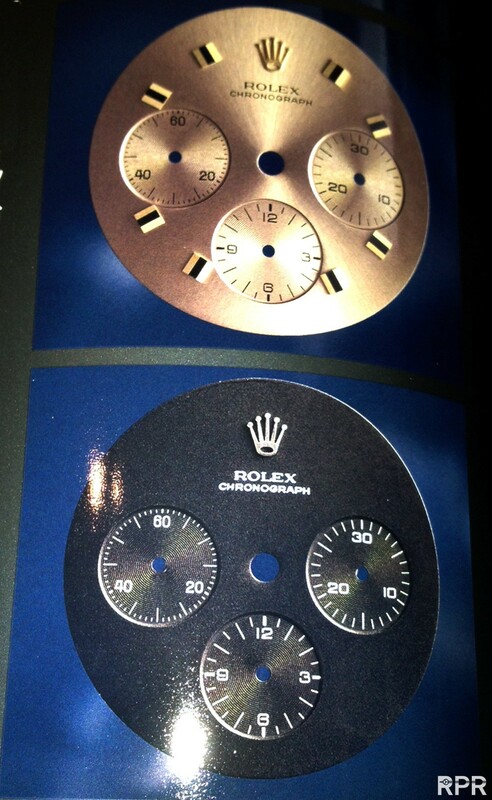 We see in the prototype books that Rolex asked Singer to produce a new genre of dials, away from the car – speed theme to focus on new markets. 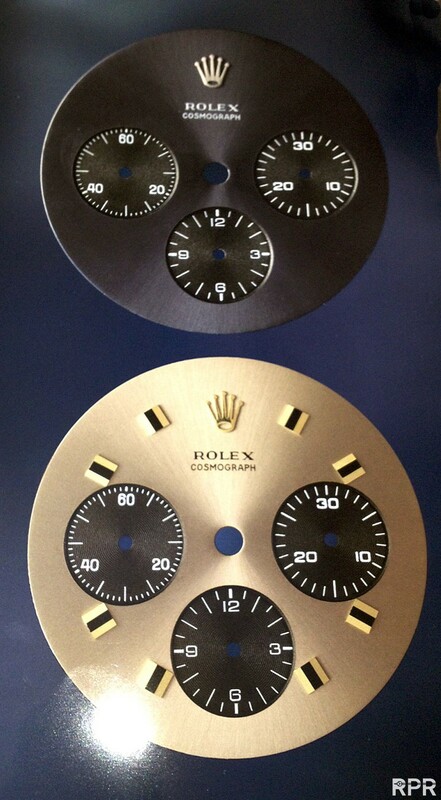 Note below the newly added “CHRONOGRAPH” print under Rolex instead of the usual “COSMOGRAPH”. The dial design is much more elegant, away from racing as we can see at below Proto’s. 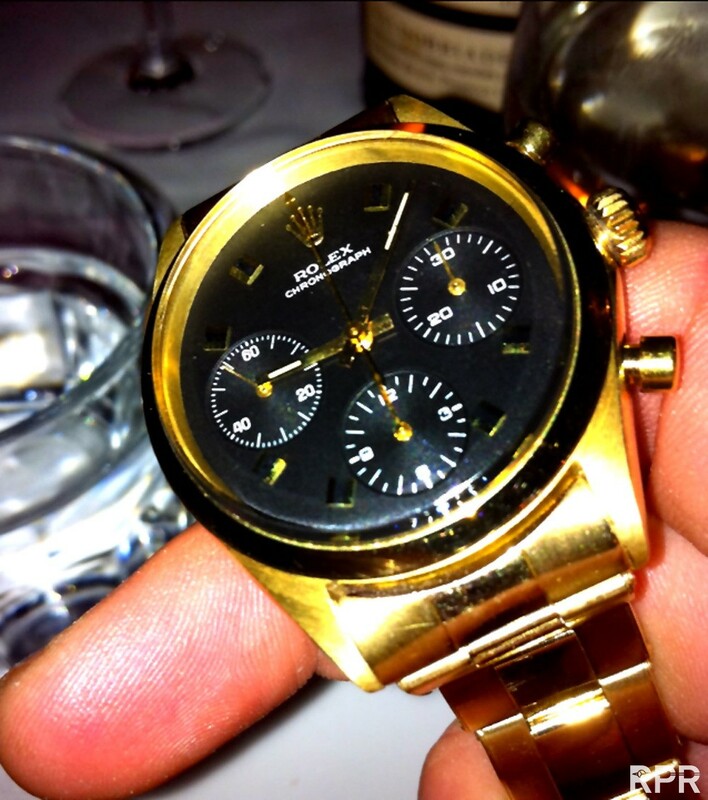 Once it’s mounted in a gold Daytona case, we see the true beauty of the new concept, that got never into production! Another attempt to focus on new markets at the end of the 60-ies when their Cosmograph model registered a serious slow down, was the prototype Yacht Master. 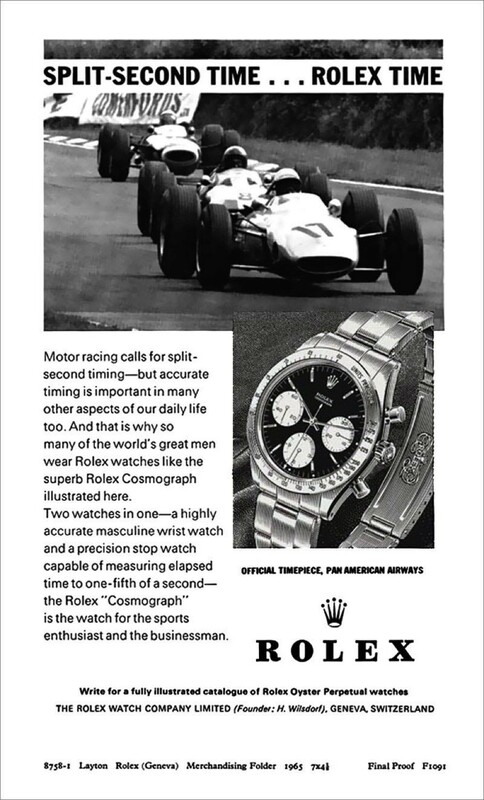 The Rolex executives believed that the weak spot was the linkage with car races, therefor they began to consider possible alternative. 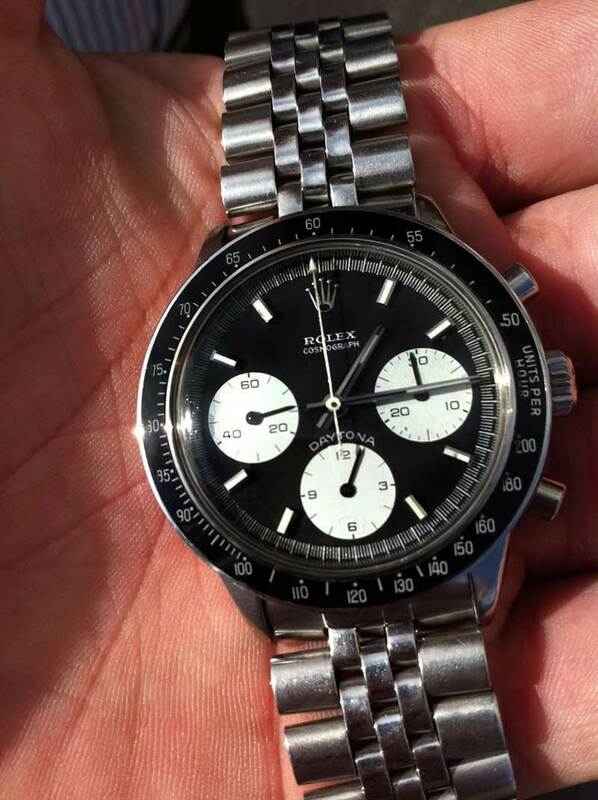 I bet the fact that Omega was super successful with their “Speedmaster on the Moon”, taking the lead in chronograph sales around 1970, was another reason why Rolex wanted to improve their collection. 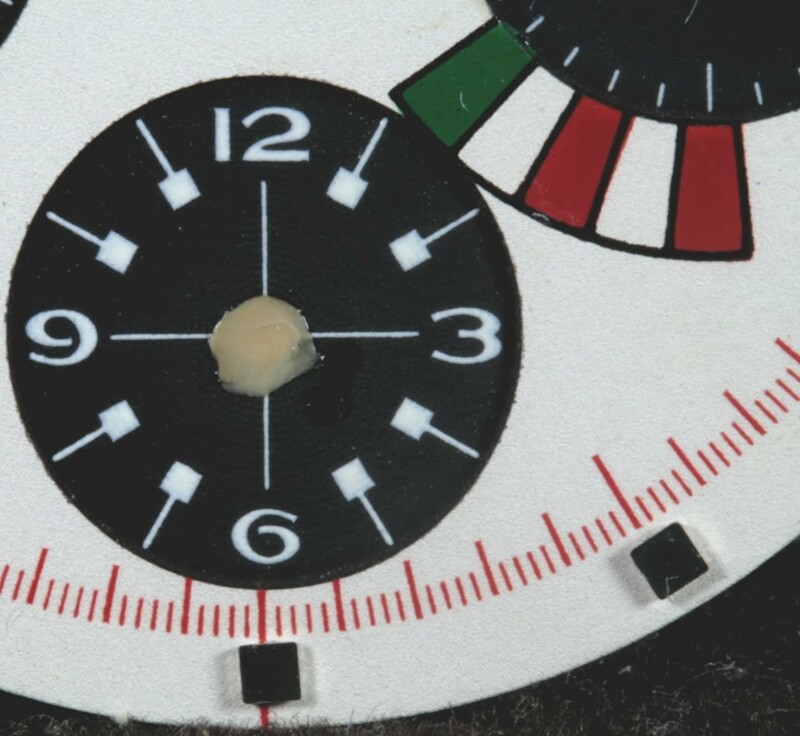 At below study dial we see in 2 of the 3 registers the paul newman dial design, also the black squares as hour markers show PN DNA.Only 3 examples are know today! 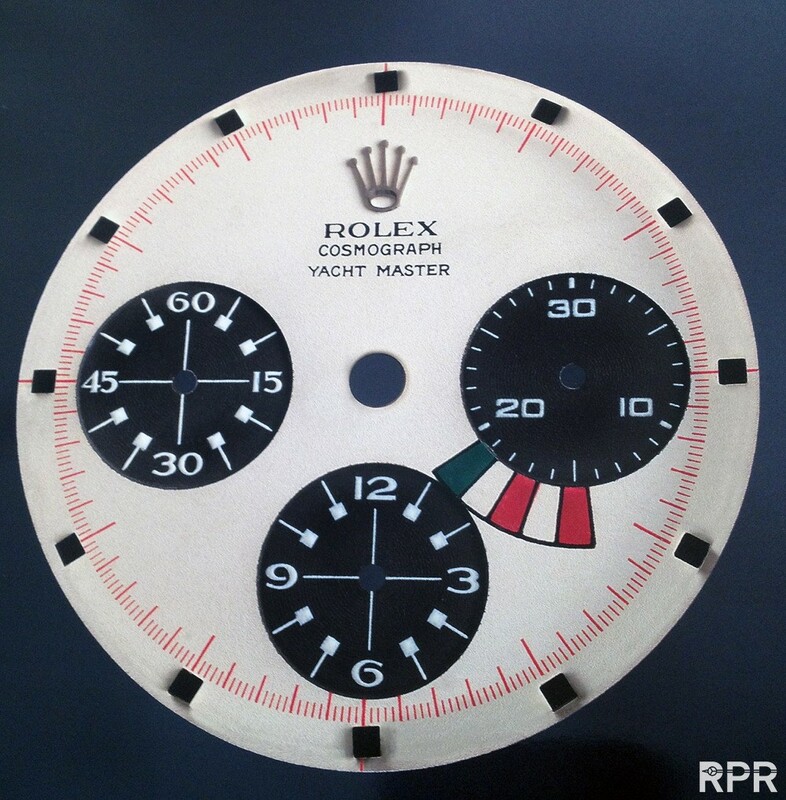 The Yacht Master was Rolex idea to return to nautical themes, below dial design got never into production and the name Yacht Master came back into the collection in ’92. 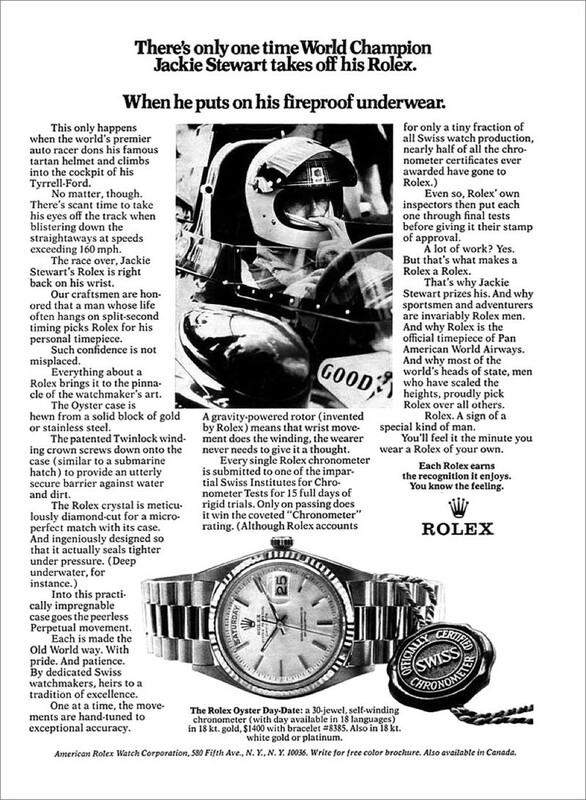 Finally in 1969 with the new Reference 6263/6265, having improved “screw down & waterproof” pushers of the Reference 6240 ( ’65-’69 ), Rolex in need made yet another iconic improvement, compared to other manufactures. 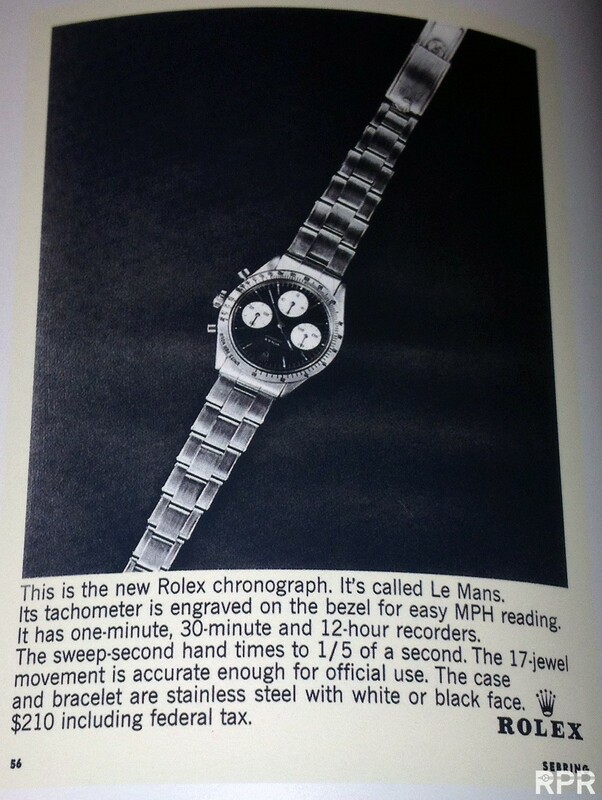 The “Drivers Watch” was rescued and remained in production, as handwinder, till the end of the 80-ies. 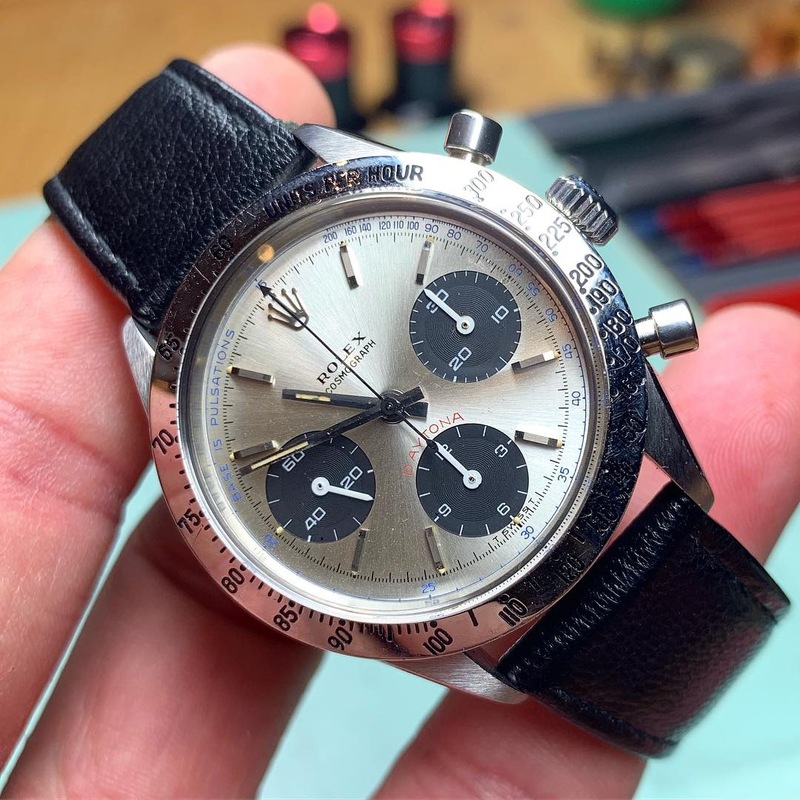 The Piano Daytona prototype 😉 Simple and yet extremely beautifull in harmony..besides the daytona print that is too big and not in white but silver printed. 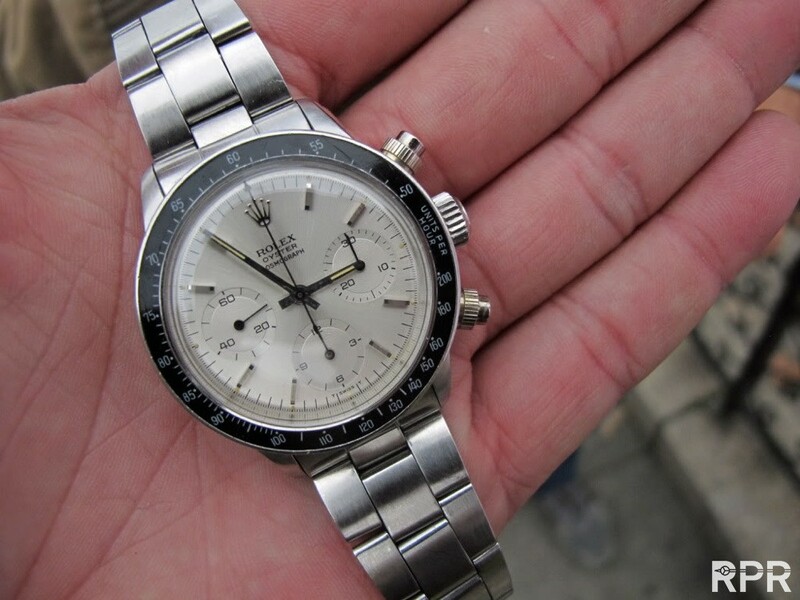 Another rare iconic design, the Albino Daytona..until now we know of 2 examples, below last one that got found, previous used to be in Eric Clapton’s collection and sold to a italian collector for sfr 500K ! This post was written by Philipp on July 5, 2012.